The British Labour Party has at times been a force for radical change in the UK, but one critical aspect of its makeup has been consistently misunderstood and underplayed: its Britishness. Throughout the party’s history, its Britishness has been an integral part of how it has done politics, acted in government and opposition, and understood the UK and its nations and regions. 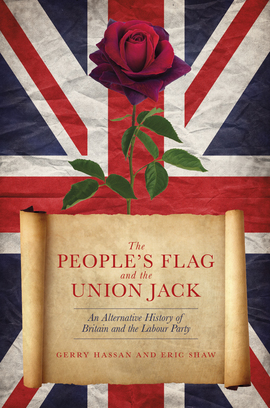 The People’s Flag and the Union Jack is the first comprehensive account of how Labour has tried to understand Britain and Britishness and to compete in a political landscape defined by conservative notions of nation, patriotism and tradition. At a time when many of the party faithful regard national identity as a toxic subject, academics Gerry Hassan and Eric Shaw argue that Labour’s Britishness and its ambiguous relationship with issues of nationalism matter more today than ever before, and will continue to matter for the foreseeable future, when the UK is in fundamental crisis. As debate rages about Brexit, and the prospect of Scottish independence remains live, this timely intervention, featuring contributions from a wealth of pioneering thinkers, offers an illuminating and perceptive insight into Labour’s past, present and future.